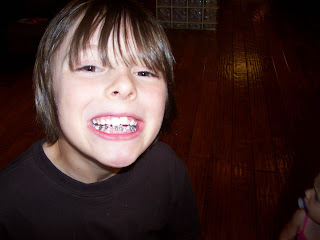 Mullin has braces!! They're just on the bottom for now. 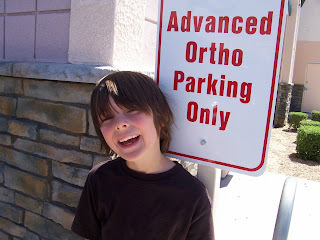 He isn't that thrilled about having them, but when I was his age I had to have 7 teeth, with the roots fully intact, pulled. Having braces will just gently move some teeth out of the way so his permanents can come in. No chewing gum for a whole year!!! Shiloh Finally Likes Her Veggies!